On February 6th 2018 I submitted a complaint to the Charity Commission concerning the Campaign Against Anti-Semitism. 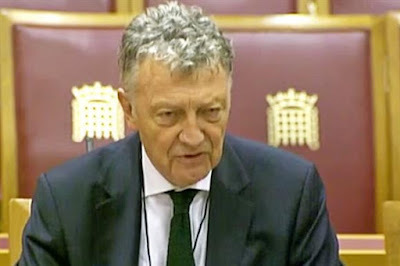 https://antisemitism.uk/ Despite the elapse of time the CC has still refused to give a definitive ruling although Civil Society reported that they were ‘assessing concerns over Campaign Against Antisemitism petition’ against Jeremy Corbyn. 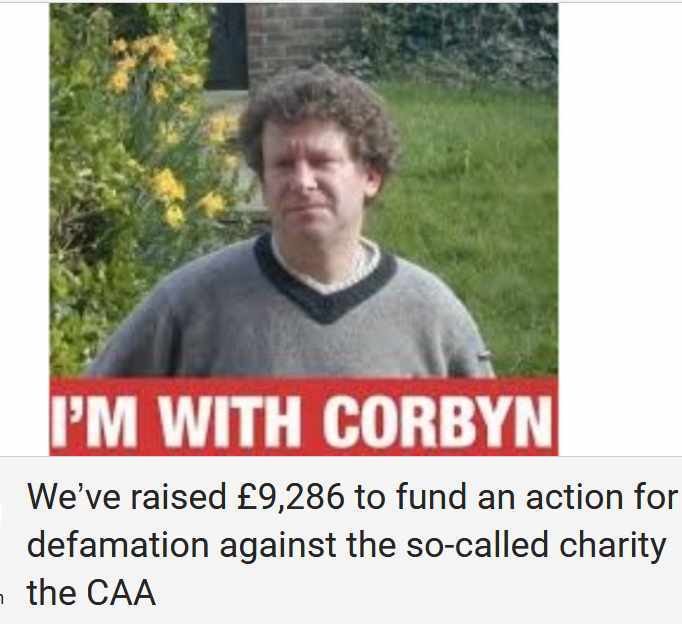 The CAA has waged an unremitting war against Corbyn ever since his election as Leader of the Labour Party. This is because all sections of the Israeli state and Zionist parties have repeatedly attacked Corbyn for his support for the Palestinians. Open party political campaigning, including supporting or opposing particular factions in a party should be ruled ultra vires as it is clearly ruled out in the advice the Charity Commission give. However despite this the Charity Commission has refused to act. Its only concern is to victimise Muslim or left-wing charities. Zionist and Islamaphobic ‘charities’ seem to have carte blanche to do anything. 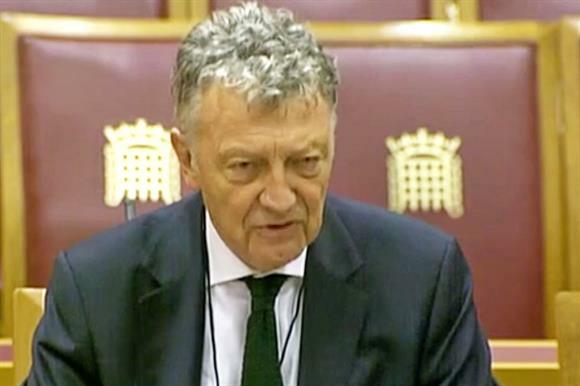 This was particularly the case under its previous Chairman, William Shawcross, a notorious anti-Islamic bigot. 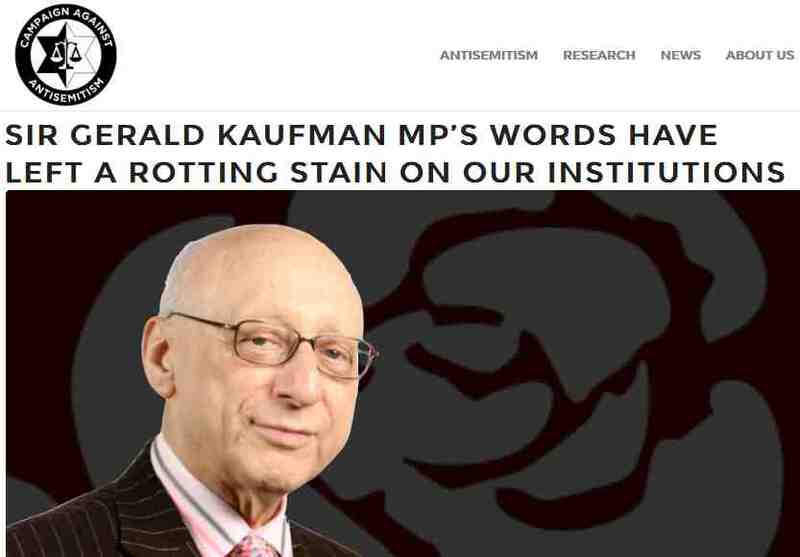 The post on the CAA site that particularly angered me was one which the CAA posted on the death of Jewish MP Gerald Kaufmann, a long-time supporter of the Palestinians. 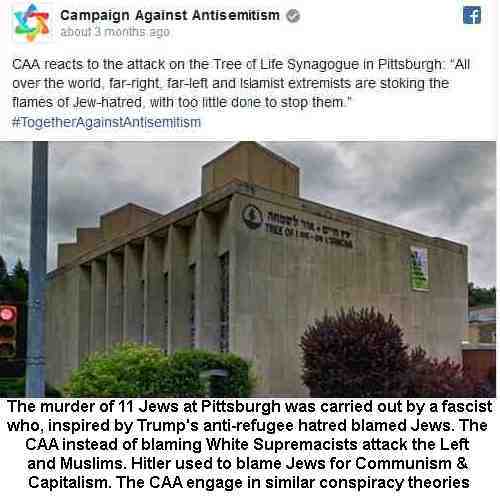 The CAA went on to draw up a petition Jeremy Corbyn is an antisemite and the Labour Party must act. calling on the Charity Commission to act against the CAA. To date it has over 7,500 signatures and it would be good if more people could sign it. The CAA responded to my petition and submission to the CC by, you guessed it, calling me an anti-Semite. Originality is not their forte. Even though I am a longstanding anti-fascist and anti-racist as well as being Jewish, criticising Israel and Zionism made me a Jew-hater in their upside down world. Not only an anti-Semite but a ‘notorious anti-Semite’. They repeated this at least four times. On 13th February I issued proceedings for libel at the High Court in London. Because of crowdfunding I was able to employ a barrister to draw up my Claim Form and Particulars of Claim. 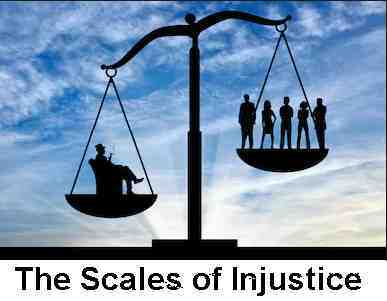 As is normal the wheels of justice grind slowly. On 14th February 2019, one year and one day later there will be a Preliminary Issues Trial to determine things like meaning but also what Defence the CAA can mount. Under the 2013 Defamation Act there are basically two defences you can mount. Under section 2 you can claim that what you said is a statement of fact and is true because truth is an absolute defence to libel. However the CAA know that their accusation against me is a lie so they are therefore hoping to rely on section 3, ‘Honest Opinion’, the old common law ‘fair comment’ defence which newspapers used to use. 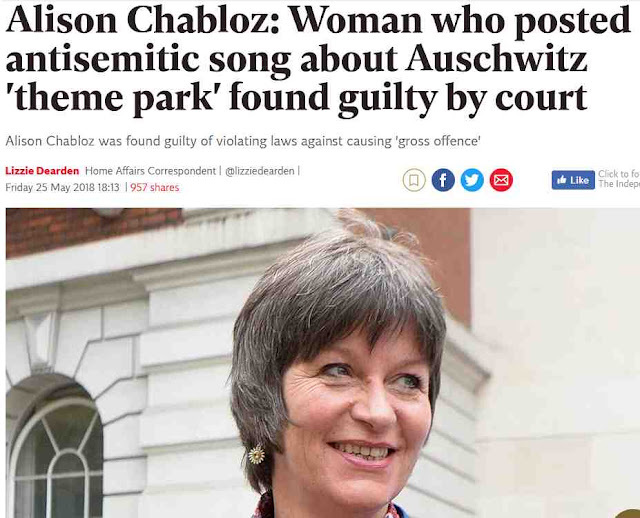 What they trying to persuade the Court to agree to is that although they can’t prove I am an anti-Semite, nonetheless they honestly believe I am! In other words they can libel and defame anyone they want to but when called to account they will say that it is their opinion, even if it’s wrong! attacking Jeremy Corbyn, whose anti-racism is second to none, as an anti-Semite. The CAA’s expensive lawyers, RPC Solicitors have racked up some £45,000 of costs so far with lots more to come. It was with this in mind that they sent me, on 30th January an offer known as a ‘drop hands’ settlement. This meant that if I agree to give up my case then they won’t pursue me for costs. Why am I appealing to you? Because this is not just about me or my reputation. It is about all of us who the CAA and other Zionist organisations defame as anti-Semites. According to these McCarthyite organisations, if you criticise Zionism as a racially supremacist ideology that priorities Jews before the indigenous population of Palestine then you are an anti-Semite and if you are a Jewish anti-Zionist then you are a ‘self-hater’ an insult first popularised by the Nazis. It is time to stand up to these blackmailers and witchhunters. Clearly they are worried at the amount it is costing to defend themselves and they are trying to intimidate me into withdrawing my action. I refuse to be intimidated but I also need your help if I am to be successful. I desperately need to instruct solicitors and barristers myself. To date I have raised about £10,000. Given that the CAA will probably spend about £100,000 possibly more, I need to raise at least double this if I am to have a chance of succeeding. Remember this is as much your fight as mine. IF you can afford it please donate to SAYING NO 2 THE ANTISEMITISM LIBEL or send a donation straight to Pay Pal at tonygreenstein111@gmail.com. If you do choose to use Pay Pal, clearly specify that this is a libel fund donation. Thanks.